A self marking exercise testing the application of BIDMAS, an acronym describing the order of operations used when evaluating expressions. This is level 2; Evaluate the simple expressions using the correct order of operations. You can earn a trophy if you get at least 9 correct and you do this activity online. "Knowing BIDMAS may help you win prizes in game shows! Level 1 - Click on the operations in the correct order. Level 2 - Evaluate the simple expressions using the correct order of operations. Level 3 - Evaluate the harder expressions using the correct order of operations. Misconception - A video explaining a BIDMAS problem which went viral on Twitter. 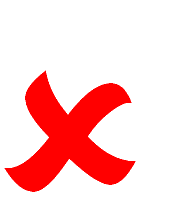 X Divided by 2Y - A Maths Lesson Starter based on the BIDMAS misconception. BIDMAS Game - A game for two or more players making BIDMAS calculations to claim squares on a grid. Barmy BIDMAS - An Advanced Lesson Starter about a misleading way of stating the answer to a simple calculation. 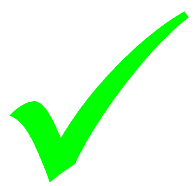 Don't wait until you have finished the exercises before you click on the 'Check' button. Click it often as you work through the questions to see if you are answering them correctly. You can double-click the 'Check' button to make it float at the bottom of your screen. When only addition and subtraction (or only multiplication and division) are left in an expression you should work them out in the order you find them, starting from the left and working towards the right. The blue image of the letters above has been designed to show that multiplication and division have the same importance as the letter M is in the same position as the letter D. The same can be said for the letters A and S.
PEMDAS is an alternative acronym.